Cut potatoes into large chunks. Boil in water in a medium to large pot until soft enough to pierce with a fork easily. Drain. They should be tender, but relatively firm. Transfer to a large bowl. Mash with fork or potato masher. Add 1 tbsp. of EVOO and 2 tbsp. of Wild Dill Olive Oil, sour cream, garlic powder, and a handful of fresh chopped dill (a tablespoon or two). Mix together. Add sea salt and fresh ground pepper to taste. 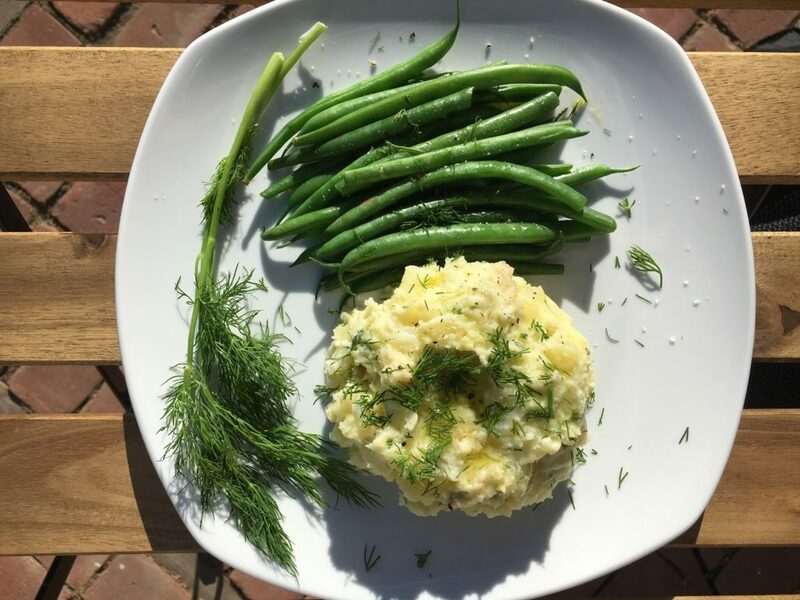 Serve with a side of haricot vert (or small green beans) with a delicious drizzle of EVOO and Dill Olive Oil, and seasoned with salt and pepper.